Due to retirement. the entire inventory will be sold ! 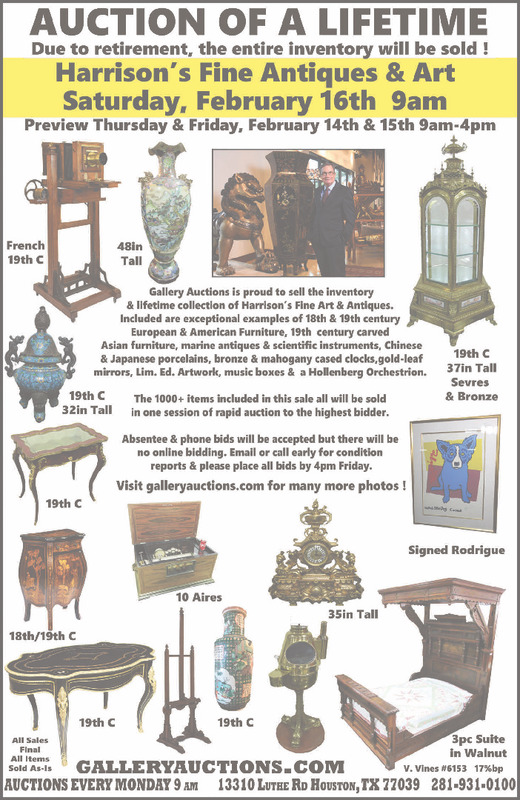 Gallery Auctions is proud to sell the inventory & lifetime collection of Harrison’s Fine Art & Antiques. 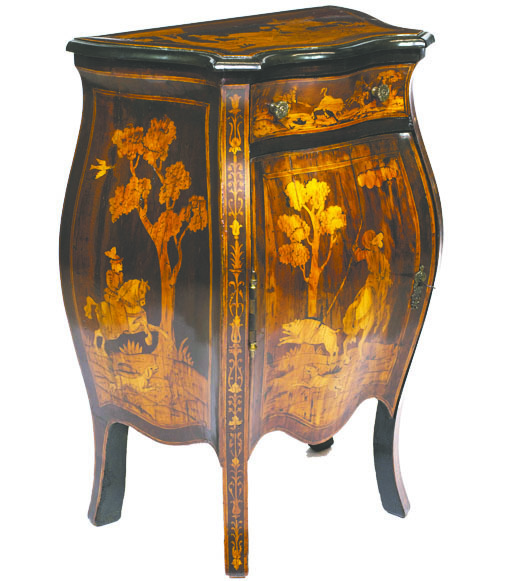 Included are exceptional examples of 18th & 19th century European & American Furniture. 19th century carved Asian furniture. marine antiques & scientific instruments. Chinese & Japanese porcelains. bronze & mahogany cased clocks.gold-leaf mirrors. Lim. Ed. Artwork. music boxes & a Hollenberg Orchestrion. The 1000+ items included in this sale all will be sold in one session of rapid auction to the highest bidder. reports & please place all bids by 4pm Friday. Visit galleryauctions.com for many more photos !